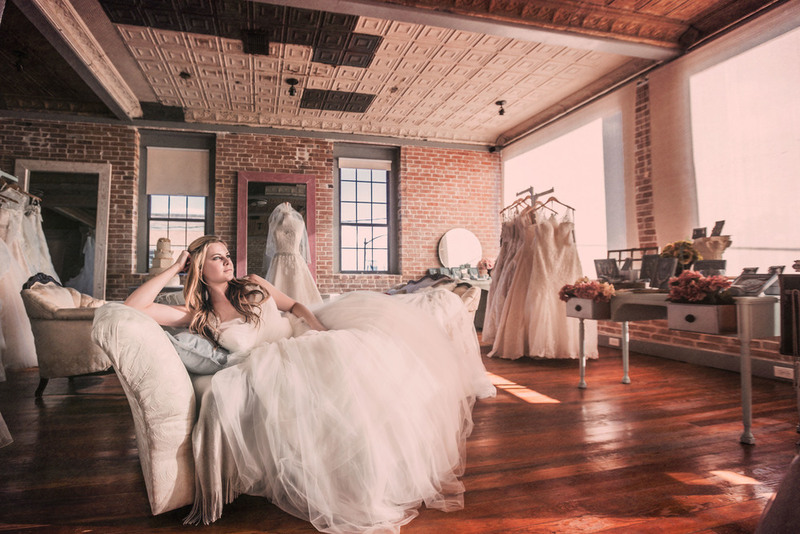 The bridal shop you choose should make you feel like a princess!! The bridal consultants should be warm and personable. You want them to take the time to get to know you personally, so that we can establish a good relationship. Your dress-shopping experience should leave you feeling happy and glowing! A good bridal shop will work with you on all aspects of finding your wedding dress---from picking out the best shape for your figure to financing to steaming your dress if it arrives wrinkled! A quality bridal shop will have an atmosphere that makes you comfortable. Smaller bridal shops may have less dresses, but that means that you may not feel so overwhelmed with choices! You may also want to consider personal decorating touches that make the pictures from your fitting(s) look more elegant and tasteful. Getting glowing referrals from other brides or members of the bridal party are an excellent way to weed out less-than-stellar bridal shops. Don't rely on fancy magazine ads or billboards---some of the best bridal shops rely on personal referrals instead of print ads. Check out the shops' social media pages and see if their photographs show happy, smiling brides that add their own commentaries to the posts, too. A bridal consultant that can answer your questions regarding all aspects of wedding dresses will make your shopping experience a breeze!! Not sure what a bustle is or how it affects your wedding day: ask your bridal consultant! Not sure if a dress can be altered from a zipper back to a corset: ask! While your consultant may not be able to answer your question right away, she should be willing to find out the answer and get back to you promptly. The right shop for you will show you the utmost respect. Never give your business to a store that displays rude behavior to you or any one else within its walls. YOU are the most important person in that room when you're looking for your dream dress! SPECIAL THANKS TO OUR FAVORITE BRIDAL STORE ( THE BRIDAL SHOPPE AT WYLIE ) FOR PROVIDE US ALL THIS GREAT TIPS! !